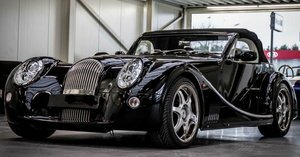 The Morgan Aero 8 America packs a deceptively heavy punch with its sleek European build and lightweight aluminum body and chassis. 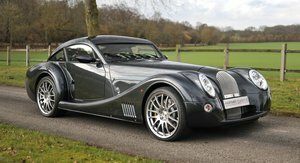 The Aero 8 America is powered by a 4.4-liter V8 BMW engine that can generate up to 325 horsepower. 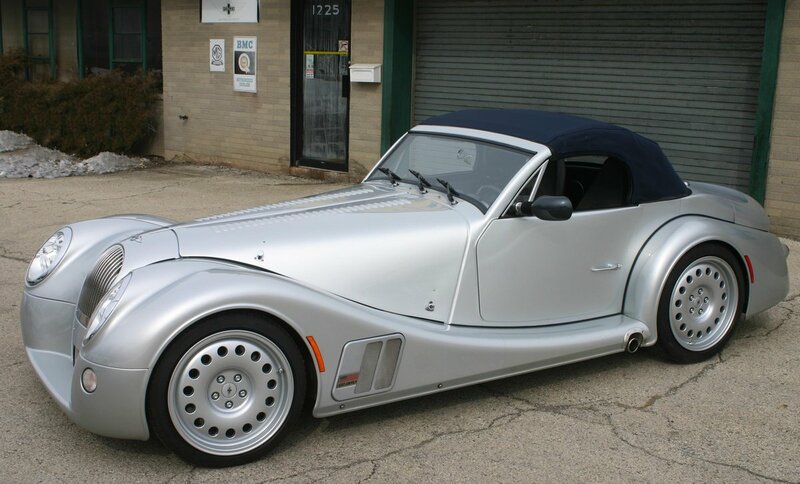 Due to its lightweight technology, the Aero 8 America delivers outstanding performance and handling. 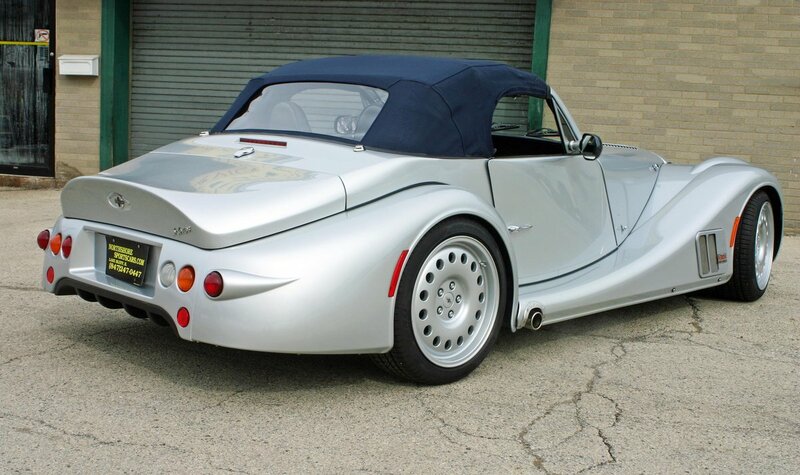 Features such as Graphite wheels, side scoops behind front wheels, bonnet louvers, side exhaust outlets, leather-covered steering wheel and instrument cowl, and exclusive Aero America badging are stylings unique to this US only version of the Aero 8. 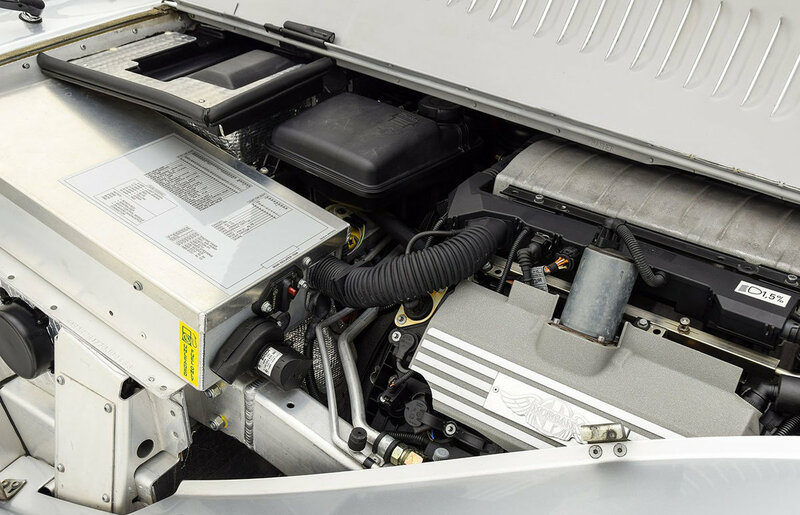 Standard safety features include air bags and ABS with Electronic Brake distribution. 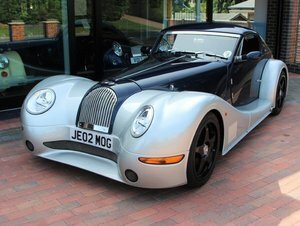 For 2007, the Aero 8 America is a new model introduced by Morgan Motor Company, and is available in the US, bearing US specific features and equipment. 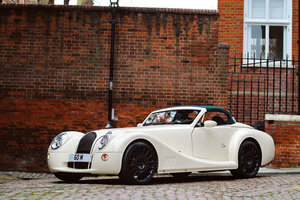 This is one of only 11 of the new series III Aero 8 Morgans with the "un-cross eyed" headlights to make it into the USA in 2007 which was the last year here. It is a 3 owner example with a clean CARFAX history. 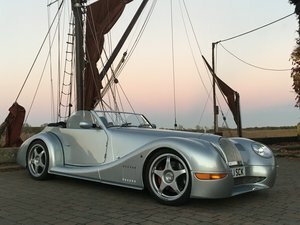 Finished in stunning bright silver over a gray interior and blue hood, this Aero 8 is a fabulous example showing just over 20,000 miles from new. 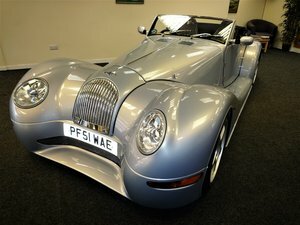 It is a fabulous example, in nearly new condition, with outstanding paintwork and detailing. 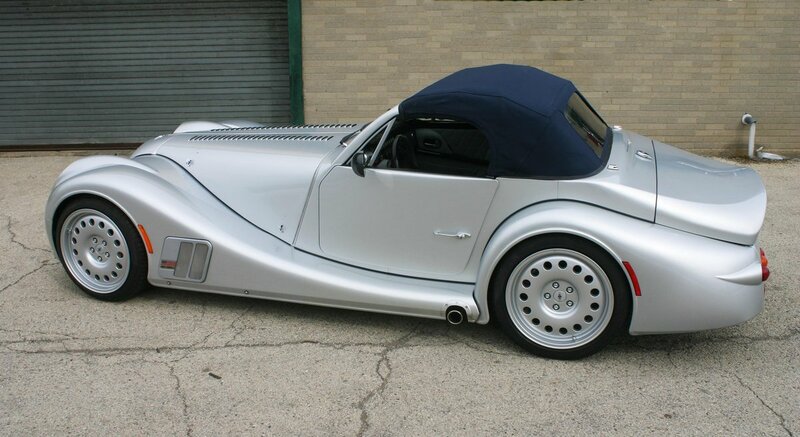 The nose is covered with transparent protective film to prevent rock chips, and the aluminum body panels are straight, with factory-appropriate alignment. The 18 inch forged-alloy wheels with gunmetal centers and polished lips are also unique to the America model. Behind those wheels are massive AP-Racing disc brakes to help rein in all of that grunt. 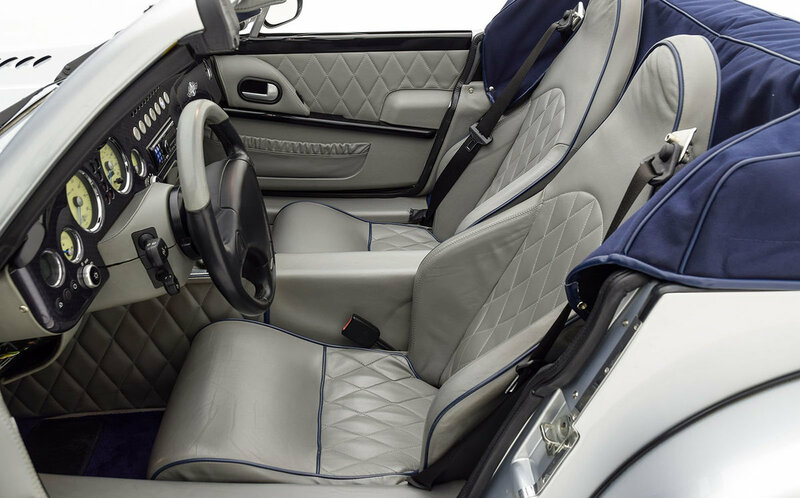 seats trimmed in gray, diamond-quilted leather and piped in navy blue, with dark blue Wilton wool carpeting lining the floors. The interior is in excellent condition, befitting the mileage. 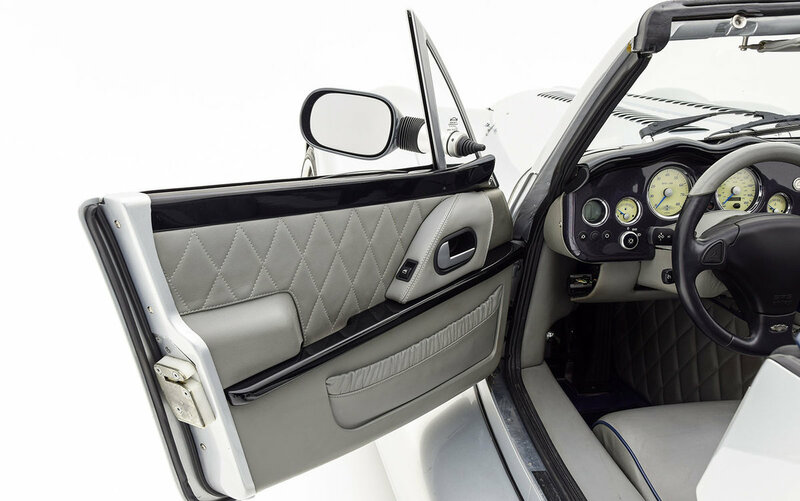 Contrasting the traditional leather and wool is a carbon fiber instrument panel with a deep lacquer finish. 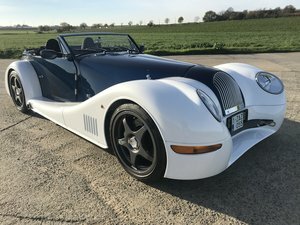 Instruments feature attractive off-white faces, and the shift lever for the 6 speed manual gearbox has a satisfying quality thanks to Morgan's use of BMW's parts. This Aero is exhilarating to drive at speed yet docile in local around town traffic. Complete with owners manual, boot cover, and battery charger. You will not park next to another at your local cars & coffee.